If you have had your own bank account, you have certainly noticed that there are a ton of different fees that banks force you to pay in order for them to simply keep your money in one place. If you have had your bank account for at least a year, then you have probably noticed that all those fees seem to be rising. The question is, why are banking fees rising? Is the service improving? No. Does it suddenly cost more to hold onto money than it did in the past? I doubt it. Are banks spending more money on you like giving you gifts? My bank has never even wished me a happy birthday. So what is the reason for the constant fee increases and price gouging? Oh yes, to cover increased TV ad campaigns and general marketing expenditures. Well that seems fair doesn’t it? Current clients of the big banks have to pay more so that their banks can attract more clients. I would guess that this point irritates you just as much as it irritates me. When banks are raising their fees, it’s good to know that one organization provides banking services for free. That organization is Cashco Financial who is not only refraining from raising service fees; we do not even have fees on a number of their banking services. That’s right; Cashco Financial offers our clients free bill payment services, free cheque cashing, and free money orders! We call these our Three for Free Financial Services. Bills are not fun to pay. Everyone knows that, but it’s even worse when the actual act of paying your bills costs you more money. Unfortunately, this seems to be the standard deal with banks that charge you a fee to set up regular payments to a few different monthly payees. That seems a little ridiculous to us at Cashco so we offer a free bill payment service to all our clients called Telpay. With Telpay, you can set up an unlimited amount of monthly payments for everything from credit cards, municipal taxes, cell phones, utilities and more. Essentially, if you have a reoccurring bill, then you can easily set up for free with Cashco Telpay and never worry about it again. Telpay also makes it easy to transfer money to any Canadian bank account (personal or business). You get online reporting on any internet browser with no tricky software to install. Even if you have a one-time bill that will not become a monthly payment, you can still pay it with Cashco Telpay for free. Come into a Cashco Financial branch and your Cashco Associate will set up any authorized bill payments that you want to pay for free with Telpay. We will log all your transactions directly in Telpay. Within 24 hours, we verify the funds and process the payments for free and send you a confirmation that all your bills were successfully paid. It’s that easy. Once you’re set up, any subsequent payments that you want to make can be automatically paid. Once again, we at Cashco provide this service to all our clients absolutely free because we get tired of banking fees too. Cheques are always nice to get because it means that you have money going into your pockets. But what if a chunk of your money gets taken away during the process of trading the physical cheque for some physical cash? With the societal shift to online banking and online finance at large, not many places seem to actually cash cheques anymore. When you take your cheque to the bank they can deposit your cheque into your account and $100 will be available to you right away but the balance of the deposit will likely be “held” for 4 – 5 business days for amounts less than $1500 and 7 – 8 business days for amounts over $1500. This allows the financial institution to verify that the cheque issuer has sufficient funds in their account at another financial institution and that the funds are available to pay the cheque you deposited. While the balance of your account will reflect the deposit, the bulk of the funds are not available to you right away. An exception to this would be cheques issued by the Government of Canada in an amount less than $1500 which must be cashed with appropriate ID whether you have a bank account or not. How long does it take to actually get your money from your cheque then? Honestly, it depends on a ton of different factors but the fact is, you have no choice but to wait. There are other institutions that will actually cash your cheque right in front of you in seconds though. Most payday lenders and pawn shops allow you to simply walk in with a cheque and walk out with some cash. They will charge you a high fee for their service though. So let’s say that you have a cheque that you want to cash. You decide to go to the bank but they tell you that they cannot give you money for it and that you will have to wait for the cheque to clear and the hold to be released. Well, you want money now. So, you choose to walk out of the bank that you have already made an effort to get to and now you have to waste more time trying to find a payday loan store or a pawn shop to cash your cheque. You finally find one but they only give you 80% of the value of the cheque…but at least you got cash I guess. Cashco Financial feels your pain. We want you to have peace of mind and convenience and for a small fee we will give you access to the cash right away. In several of our branches today, you can choose to cash your cheque with no fees just like at a bank. Later this year, Cashco will be offering this free cheque cashing service in all our branches. With this service option though, you will still need to wait for the standard holding period just like at a bank. But we want to be sure this process does not happen to you over and over so we suggest that you ask your employer to see if they could deposit your paycheques directly into your bank account to avoid future holds or fees. If you have questions on how to make this happen please ask one of our associates, at any one of our 70 Cashco branches across Canada, because we are always looking for ways to make your financial life easier. That’s what we mean when we say that we provide relief today and hope for tomorrow. What exactly is a money order? I would like to order some more money please. Unfortunately, money orders do not actually work like that. A money order from Cashco Financial is just like a certified cheque. Well what is a certified cheque then? A certified cheque is a form of cheque that has been verified for available corresponding funds from the account which the cheque was written. That just means that certified cheques don’t bounce. Certified cheques or money orders are most often used to pay things like rent, utilities, condo fees, car payments or anything where you cannot set up pre-authorized online transactions or the entity you are paying prefers post-dated cheques. Cheques are just not as easy to get these days though. Banks will charge you $2 or $3 for one regular cheque (or you can get a signature chequing account that offers you unlimited free cheques…but actually costs you about $10-$15 every month for the “free” cheques). 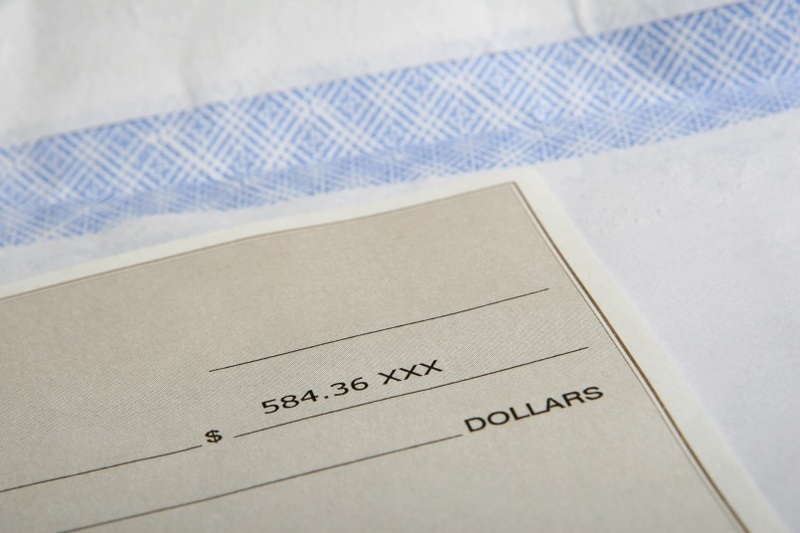 If you want a certified cheque, that’s even harder and more expensive. Some banks charge up to $14 for one certified cheque, and they won’t even give you one no matter how much you offer to pay them unless you have an active bank account in perfect standing with them. Again, we at Cashco Financial want to provide you with a better solution. That’s why we offer free Cashco certified money orders to anyone who wants one. You can walk into a Cashco branch and say “hey, I’d like a certified money order please”, and we will give you one for free in as little as 30 seconds. Now that’s what I call great service. Currently we are offering our free certified money order service in three of our Edmonton branches listed below, but more of our branches will be giving all our clients access to free certified money orders soon.